Hi everyone! This is GiGi from The Cricut Bug and I am sharing this Hot Cocoa topper I made. I'm not sure how the weather is where you are, but here in WI, it has been SO COLD! I know any number of people that would enjoy a nice little treat such as this. 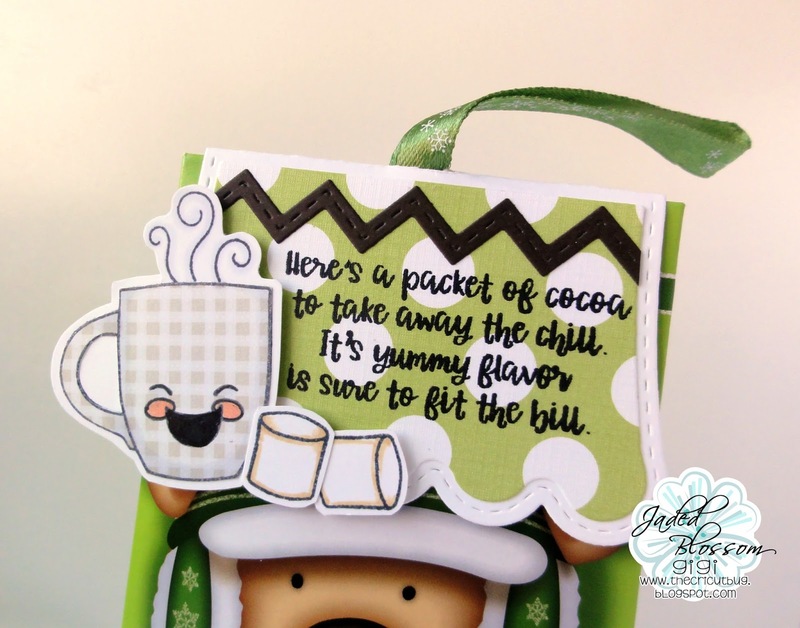 I started this project with a store bought packet of hot cocoa and added the topper using the Scallop Slider and Topper Die. I used an X-acto knife to cut a slit in the crease to fit over the ribbon hanger. 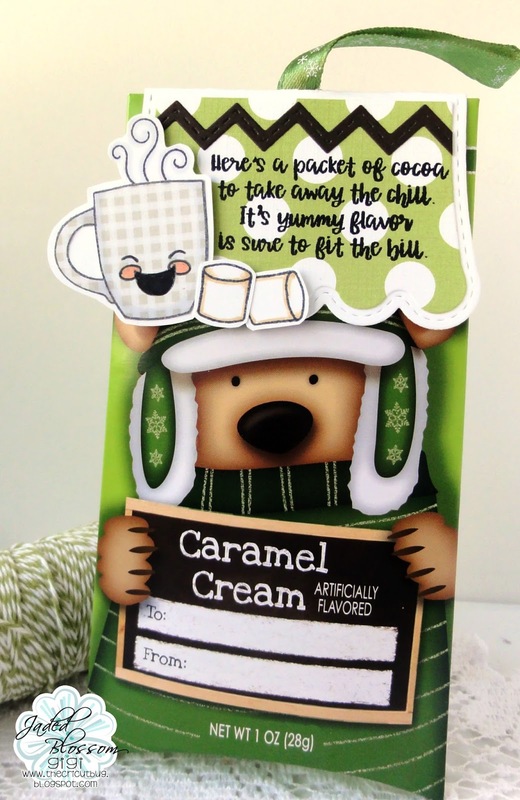 I stamped the sentiment and marshmallows from the Hot Cocoa stamp set and added the ric rac cut from the Border Dies. To finish, I added the cup that I stamped and paper pieced from the Give Me Coffee stamp set, adding the face from the Coffee Faces. This is soooo cute!!! 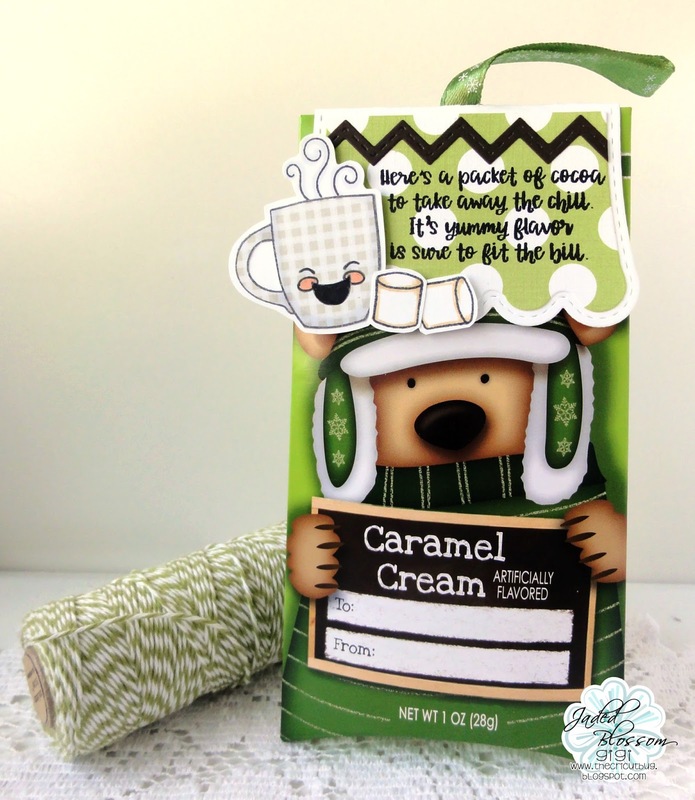 Great topper!! !